Looking for a new family vehicle that’ll keep all your passengers more-than-satisfied? If so, then you’re sure to fall in love with the minivans for sale at Dakota Chrysler Center. A recent assessment from the U.S. News and World Report highlighted the 2018 Chrysler Pacifica and its hybrid variant as two of the “6 Best Minivans” on the road today, but this should come as no surprise to our friends and neighbors! Both models have garnered a reputation as affordable, pragmatic, and even luxurious options for drivers who want more out of their time on the road. Once you’ve seen our prices, you’ll understand why folks from all over Breckenridge and Fargo are so excited to test drive these incredible Chrysler minivans. 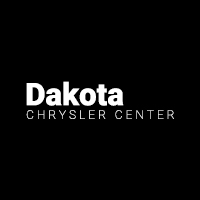 Shop Minivans for Sale at Dakota Chrysler Center! There’s never been a better time to explore the minivans for sale at Dakota Chrysler Center! Our expert representatives earned the Customer Experience Award for Excellence in 2018, and when you pay us a visit, we’ll do everything in our power to match you up with a model that you’ll love. Our offers and incentives are making Chrysler’s celebrated minivans more affordable than ever, so don’t let your budget hold you back. Contact us today to get started!